Realy Modern is the very promising evolution and the 1.0-release of Facebook’s homegrown GraphQL client Relay. It was announced at this year’s F8 conference and officially released by Lee Byron during his talk at React Europe. This post is a step-by-step tutorial with the goal of building a simple Instagram application from scratch using create-react-app. You can take a look at the final version of the code here, just follow the instructions in the README to get up-and-running. Relay and Apollo are currently the most popular and sophisticated GraphQL clients available. Apollo is a very community-driven effort to build a flexible and easy-to-understand client that let’s get you get started quickly with GraphQL on the frontend. In only a bit more than a year it has become a powerful solution for people looking to use GraphQL in web (and mobile!) projects. Relay on the other hand is a project whose key ideas grew while Facebook was using the early versions of GraphQL in their native mobile apps starting 2012. Facebook took the learnings they gathered from using GraphQL in their native apps to build a declarative data management framework that integrates well with React. For Relay becoming open-source, much like with GraphQL, it was pulled out of Facebook’s infrastructure with the ambition to build a data loading and storage solution that would also work in non-Facebook projects. Apollo and Relay have different focus areas. Where Apollo optimizes for flexibilty and simplicity, one of Relay’s key goals is performance. If you want to take a deep-dive into Relay Modern, make sure to check out this article on the Apollo blog. The first step you’ll do is to create the project using create-react-app, a simple command-line tool that let's you create React applications without any configuration overhead. Note: If you're looking to build your own GraphQL servers for production use cases that go beyong prototyping and learning, be sure to check out Prisma. Note that you can now manage this project in the Graphcool Console. If you want to manage it locally, you can use the project file project.graphcool to make local changes to the schema and then apply them by calling graphcool push. You first have to install several dependencies to pull in the different pieces that are required for Relay to work. This dependency allows you to access all major Relay APIs, such as the QueryRenderer or FragmentContainer that you'll explore in a bit! All right, that’s it for the first step! Go ahead and move on to configure Babel. create-react-app hides all the build tooling configurations from you and provides a comfortable spot for starting out. However, in your case you actually need to do some custom Babel configurations to get Relay to work. So you need to eject from create-react-app. This command essentially opens up the blackbox that was handed to you by create-react-app and let's you do the build configuration yourself. That’s it already for the Babel configuration. Set up the Relay Environmnent in the app next! This code has been taken from the example in the docs and was only slightly customised. You first import the required JS modules that you need to instantiate and configure the Environment. Here you instantiate the required Store that will store the cached data. Now you create a Network that knows your GraphQL server from before, it's instantiated with a function that returns a Promise of a networking call to the GraphQL API - here that's done using fetch. With the store and network available you can instantiate the actual Environment. Lastly you need to export the environment from this module. Before doing anything else, go ahead and prepare the React components. That’s a simple Post component that displays the image and the description for each post. You'll implement the _handleDelete method in a bit. This ListPage component simply renders a list of Post components by mapping over an array of posts. For now these are posts that you define statically in the mockPostDataarray, but you'll soon replace that to fetch the actual posts from the server! The App is the root component for your application, so you tell it to render the ListPage that will be the initial screen of the app. As lovely as these pigs are, they’re only loaded from memory instead of the network which definitely wasn’t the goal of this exercise. Instead, you want to store the posts in the database on the server and then load them using GraphQL and Relay! Before you go and make the required changes, a bit of theory! One of the most powerful concepts of Relay is called colocation. This means that a React component declares its data dependencies right next to (i.e. in the same file) where it’s defined. This happens in the form of GraphQL fragments. This effectively means that you’ll never write any actual GraphQL queries yourself. This is unlike the approach that’s taken in Apollo, where you’re also able to coloate data dependencies and React components — but are most commonly doing so by writing actual queries instead of fragments. But if you’re never writing any queries in Relay, how can the GraphQL server respond with sensible data? That’s the cool part about Relay! Under the hood, it will figure out the most efficient way for your React components to fetch the data that’s required for them to render, based on the data dependencies they declared in their fragments. The way to declare the data dependencies alongside your React components is by using the FragmentContainer API. Go ahead and write the fragment containers for the two components that you added before. All that’s done there is importing the required Relay modules that you need to create the fragment container. Note: As you’re adding the fragments now, the relay-compiler will throw some errors when you're running it. You'll fix these in the following steps. You’re using the createFragmentContainer higher-order component and pass in two arguments - exactly as we said before. The first argument is simply the React component, here that's the Post. The second argument are its data requirements in the form of a GraphQL fragment wrapped using the graphql function. The Post component needs access to the description and imageUrl of a post item. The id is added for deleting the post later on. In your case, the file is called Post.js and the prop in the component should be called post. So you end up with Post_post for the name of the fragment. Great work so far! Go and add the the fragment container for ListPage as well. Similar to the Post component, you're passing the ListPage component along with its data requirements into createFragmentContainer. The ListPage needs access to a list of posts - here you're simply asking for the last 100 posts to display. In a more sophisticated app you could implement a proper pagination approach. Notice that you’re again following the same naming convention and name the fragment ListPage_viewer. ListPage.js is the name of the file and viewer is the prop that you expect in the component. You’re also reusing the Post_post fragment that you wrote in Post.js. That's because the ListPage is higher in the React component (and Relay container) tree, so it's responsible to include all the fragments of its children! The @connection directive is required for updating the cache later on - you need it so that you can refer to that particular connection (identified by the key ListPage_allPosts) in the cache. Now it starts to get interesting! What happens with these fragments? When are they used and what’s the query Relay actually sends to the server? Meet the QueryRenderer: QueryRenderer is the root of a Relay tree. It takes a query, fetches the data and calls the render callback with the data. So, here is where it all adds up. React components are wrapped with GraphQL fragments to become Relay containers. When doing so, they retain the same hierarchical structure as the pure React components and form a tree. At the root of that tree there’s the QueryRenderer, which also is a higher-order component that will take care of composing the actual query. So, go and add the QueryRenderer! A Relay environment which is why you're importing it here. A root query which will be the basis for the query that gets sent to the server. A render function that specifies what should be rendered in loading, error and success cases. Notice how we’re now actually using the fragment ListPage_viewer from the ListPage component. That’s because we’ve skipped the compilation of the GraphQL code that makes for much of Relay’s actual power! You already installed the relay-compiler, so now you'll actually use it. Note: get-graphql-schema has been deprecated in favor of the graphql get-schema command from the GraphQL CLI. Again, you need to replace the placeholder __RELAY_API_ENDPOINT__ with the actual endpoint of your Relay API. This command then downloads the schema and saves it in a file called schema.graphql. ATTENTION: There’s currently a bug in the Relay Compiler that will produce an error if you download your schema like this. Until the bug is fixed, simply copy the schema from here and put it into your project in a file called schema.graphql. The file needs to be on the same level as the src directory - not inside! Before you run the app to see if everything works, you should add actual post items to the database. Open a GraphQL Playground by pasting your endpoint for the Relay API into the address bar of a browser. Notice that you’ll have to switch the Playground mode from Simple to Relay for the mutations to work! Note: You can also use the Data Browser to add some post items. All right, you now populated the database with some initial data. Go ahead and run yarn start to see what the app currently looks like - you should now see the same two lovely pigs that you used as mock data before! You’re done with the first part of the tutorial where we wanted to load and display the posts returned by the server. Now you need to make sure that your users can also add new posts and delete existing ones! This is a simple view with two input elements where the user can type the description and imageUrl of the post she's creating. You also display a preview of the image when an imageUrl is available. The confirm button is displayed only when the user provides the required info, and clicking it will invoke the _handlePost method. One thing you’ll have to figure out next is how to display that new page in the app — i.e. you need some kind of routing solution. An interesting side-note is that Relay actually started out as a routing framework that eventually also got connected with data loading responsibilities. This was particularly visible in the design of Relay Classic, where Relay.Route was a core component. 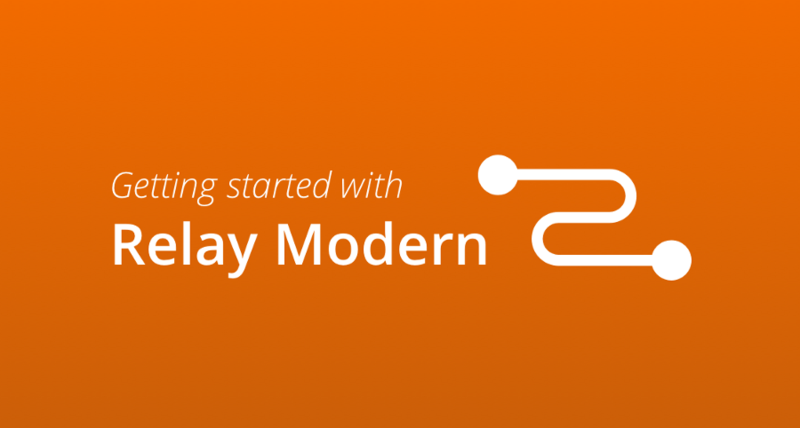 However with Relay Modern, the idea is to move away from having routing as an integral part of Relay and make it more flexible for different routing solutions. Since we’re in the early days of Relay Modern, there’s not really much advise or conventions to build upon. The FB team delivers a few suggestions how this can be handled. But it will certainly take some time until best practices and appropriate tools around this topic evolve! Note that we’re only using version 2.8.1 to be consistent with our other Quickstart examples. Now that you’ve got the routing set up, you can take care of the mutation. Mutations were one of the major pain points developers had with Relay Classic. The way how they’ve been implemented was in a declarative and powerful way. However, it was very difficult to actually understand how they worked since there was so much magic going on behind the scenes. As a result, the main concern was that they’re not predictible enough and developers had a hard time to reason about them. That’s why one of the major goals of Relay Modern was also to introduce a new and more approachable mutation API. The Facebook team delivered that and Relay now exposes a more imperative API that allows to manipulate the local store directly (actually, the manipulation happens through a dedicated proxy object, but it’s definitely much more direct than before). First you need to import the right modules from react-relay as well as the environment. Here you write a simple mutation and tag it with the graphql function. The module exports a single function that takes in the post’s description, imageUrl, the viewerId and a callback that will be called when the mutation is completed. Here you prepare the input object for the mutation that wraps the description and imageUrl. Note that the clientMutationId is required in this case because of a minor limitation in the Graphcool API - it has no function. The commitMutation function can be used to send a mutation to the server with Relay Modern. You're passing the information that you prepared in the previous steps and execute the callback once the mutation is ready. The optimisticUpdater and updater functions are part of the new imperative mutation API that allows to manipulate the Relay store through a proxy object. We'll discuss this in more detail in a bit. Once the mutation is fully completed, the callback that the caller passed in is invoked. Let’s quickly discuss the optimisticUpdater and updater functions that are teased here. The proxyStore that's being passed into them allows you to directly manipulate the cache with the changes you expect to happen through this mutation. optimisticUpdater is triggered right after the mutation is sent (before the server response comes back) - it allows you to implement the success scenario of the mutation so that the user sees the effect of her mutation right away without having to wait for the server response. updater is triggered when the actual server response comes back. If optimisticUpdater is implemented, then any changes that were introduced through it will be rolled back before updater is executed. Phew! There’s a lot of stuff going on, let’s tear it apart a bit. First notice that the second part of the both functions are completely identical! That’s because the proxyStore (your interface to manipulate the cache) doesn't care where the object that you're inserting comes from! So, in optimisticUpdater, you're simply creating the newPost yourself based on the data (description and imageUrl) that is provided. However, for the id, you need to generate a new value for every post that's created and that will be the temporary ID of the post in the store until the actual one arrives from the server - that's why you introduce this tempID variable that gets incremented with every new post. Next you need to actually use this mutation in CreatePage.js. The only problem left right now is that in CreatePage, you don't have access to the viewerId at the moment - but it's a required argument for the mutation. At this point, you could use react-router and simply pass the viewerId from the ListPage on to the CreatePage component. However, we want to make proper use of Relay and each component should be responsible for its own data dependencies. Because you’re using this query, you get access to viewer.id in props of the component and can pass it along when the onClick function of the button is invoked. That’s it, you can now go ahead and add a new post through the UI of your app! 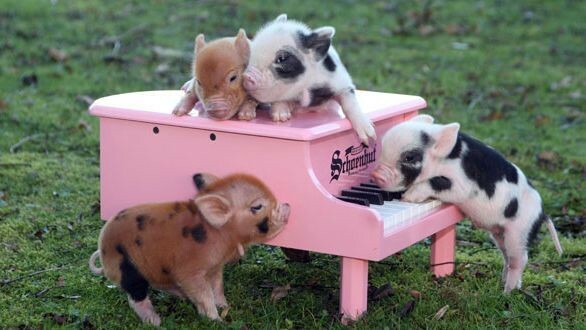 How about these musical fellahs right here? The approach you’re taking this time is very similar to the CreatePost mutation. First you import all dependencies, then you declare the mutation to be sent to the server and finally you export a function that takes the required arguments and calls commitMutation. Deleting posts will now actually work, however, the UI doesn’t get updated. The posts only actually disappear after you refresh the page. Again, that’s precisely what Relay’s new imperative mutation API is for. In optimisticUpdater and updater you have to specify how you'd like Relay to update the cache after the mutation was performed. The optimisticUpdater and updater also work in the same ways as before - except that in the optimisticUpdater you have to do less work and don't have to create a temporary mocked post object. In the updater, you're accessing the deletePost and deletedId fields that you specified in the selection set of the mutation. With this code, you’re telling Relay that you’d like to remove the deleted posts (identified by deletedId which is specified in the selection set of the mutation) from the allPosts connection. You need to make a few more adjustments for this to work! First you have to pass the viewerId as an argument when calling DeletePostMutation in Post.js. However, the Post component currently doesn't have access to it (i.e. it doesn't declare it as a data dependency). Before you run the app, you need to invoke the Relay compiler again. You can then click on the Delete-button on any post and the UI will update immediately. In this tutorial you learned how to get off the ground with Relay Modern and built your own Instagram application from scratch using create-react-app. If you got lost along the way, you can check out the final version of the code on GitHub. Relay Modern is a great technology that is a tremendous help in building React applications at scale. Its major drawbacks right now are the still scarce documentation and unclear usage patterns and best practices, for example around routing. We hope you enjoyed learning about Relay Modern! If you have any questions, check out our documentation, join our forum or Slack. To stay up-to-date about everything that happens in the GraphQL community, subscribe to GraphQL Weekly.